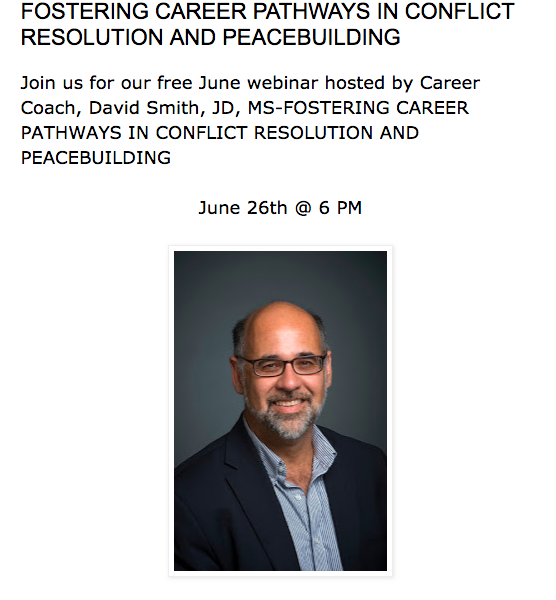 My Webinar: Online Peer Mediation Platform, 6/26/18, 6 p.m. Advancing peer mediation is more important today than ever before. I’ve made an effort to support school mediation programs over the years. I will be offering a free webinar on June 26, 2016 at 6 p.m. (EDT) on career awareness for educators working with secondary students. Click here or below to register and learn more about peer mediation. Today at 6 p.m.! Join us!